What if everyone isolated their bed before they have bed bugs? 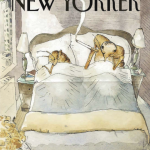 Condos and Multi-family housing: Can you ever get rid of bed bugs? Wow! Free Furniture. You may be bringing bed bugs home with you. Avoid taking abandoned furniture home. You may be bringing bed bugs home with you. These three pieces of furniture were all seen just driving around running errands in Portland, OR in March 2010.